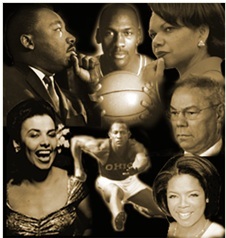 Black History Month, or as it has come to be known, National African American History Month, has been celebrated every February since 1976 (officially recognized first by President Gerald Ford). It is an annual commemoration of all of the achievements made by African Americans, as well as a time to recognize and honor the role of African Americans in our country’s history. Important figures in African American culture include, but aren’t limited to: Rosa Parks, Harriet Tubman, Martin Luther King, and Barack Obama. To celebrate the month this year, we have come up with a short list of great African American inventors in the last couple of centuries, and how their inventions can relate to your everyday lives as chefs. Without some of these inventions, we may not have many of the tools and products that we take for granted, even today! 1. Jan Ernst Matzeliger – in 1883 he received a patent for his invention of a shoemaking machine that was able to increase productivity of shoemaking by 900%. Before he came along, a skilled shoemaker was able to produce 50 pairs in a 10-hour day. After his machine was in place, factories were able to produce between 150 and 700 pairs of shoes in a day! This cut shoe prices across the country in half. Without this great invention, we may not have such affordable non-slip shoes today! 2. George Washington Carver – Carver developed over 100 uses for peanuts. To learn more about him and his works, check out our blog on George Washington Carver Recognition Day. 3. Frederick McKinley Jones – invented a practical, mechanical refrigeration system for trucks and railroad cars. Thanks to this system, people no longer had to worry about their food or perishable cargo spoiling during long trips. 4. Norbert Rillieux – patented the multiple-effect vacuum pan evaporator. This contraption heated sugar cane juice in a partial vacuum, which lowered its boiling point, thus allowing for much greater fuel efficiency. This process was adopted in sugar refining, and was responsible for making sugar a household item. 5. John Standard – in 1891, he patented an improved refrigerator design, which utilized a manually-filled ice chamber for chilling the food. It did not run on electricity, so the cost to the owner was quite low. He also designed an oil stove that saved on space and could be used for buffet style meals on trains. There are countless other African American inventors that have not been mentioned in this article. If you’d like to honor anyone in particular, please leave a comment below!